Every year, as our Upstate winter begins its slow, gray slog toward spring, the Jazz Festival injects a bit of brightness with its announcement of the June event's line-up. For me, all it takes is one look at the photos of the crowds filling the streets last year, and the gray is gone. This event, like Fringe and numerous other downtown events, shows what can happen when people who know what they're doing ignore the skeptics. Late one afternoon last week, developer Andy Gallina and his company threw a party on the 18th floor of the tall white Main Street building now named The Metropolitan. Formerly known as Chase Tower, The Metropolitan is being converted into a complex of apartments, condos, offices, restaurants, and stores. Residents will have a garage, valet parking, a fitness center, and knock-dead-gorgeous views. Right now, the building is a work in progress, and the site of Gallina's party was a vast open space, with the elevator core in the center and nothing between it and the knock-dead-gorgeous views, on all sides. Those views included some of the numerous other developments under way. One after another, downtown buildings are being saved, restored, modernized, and put to new uses. If all of these developments are successful, five years from now the area will scarcely resemble the downtown of today. There will be the kind of street life and vibrancy that downtown used to have. If the developments are successful. Right now, downtown's future looks good. In an interview with Tim Macaluso for this week's "Creating Downtown" article, former Mayor Bob Duffy notes that local developers are investing heavily, personally, in the developments. Also important: area banks are helping finance them. Both show confidence that a market exists. But downtown's transformation won't happen overnight. It will come slowly and incrementally. And as several sources told us, retail will lag behind. We can wish for an Ikea; that's not going to happen anytime soon. Retailers want documented evidence of sufficient population, strong demographics. That simply doesn't exist yet. Also a challenge: The Greater Rochester community's devotion to cars. We brag about how quickly we can get from the outer suburbs to downtown offices and back home again, from anyplace in the region to our big suburban malls. Our sprawl is well developed, it's well supported by expressways, and it's not going to go away. Downtown ought to be considered the hub of the region, and its health ought to be considered vital for the health of the region. Right now, downtown is often considered just one community center among many, and it's in competition with its suburban neighbors, for residents, for workforce, for retail. Increasing the number of people who live or work downtown, then, is key. 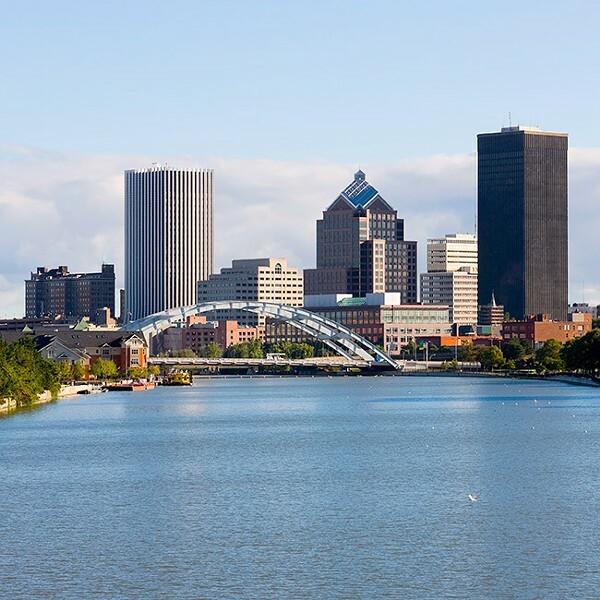 One huge positive: the number of young people involved in creating a new downtown Rochester. Downtown's housing growth has been helped along by empty nesters for whom big houses and big yards are no longer attractive. But a successful downtown will depend most heavily on younger people. And fortunately, younger people in impressive numbers are forming new tech businesses, assuming leadership in established family firms, opening restaurants and bars, joining the staff of cultural organizations. Many are moving into the expanding downtown housing. All of that is important. So - I hope - is the photonics industry. Even though many of the photonics jobs will be at Eastman Business Park and at Canal Ponds in Greece, they'll add to Greater Rochester's population. And if the new employees are like tech workers in other parts of the country, they'll gravitate to downtown's nightlife - and, often, its housing. And the growth will feed on itself. It's too early to declare success for downtown; the challenges and the risks are substantial. But recent new housing developments in and near downtown have tended to fill up quickly. And the influx and commitment of young adults is real. The next year, as the current developments start to open, will tell us a lot.